A personal trainer is not a nutritionist, and if a trainer is making you food plans ask to see their credentials. My relationship with food is a mixed relationship, I am very lucky that I have a partner that does most of the cooking, he loves cooking fresh food. When I was single I had a poor diet which would mostly consist of processed food, partly due to being lazy, after work I was unable to find the energy to cook for myself. I think also being single and this is an excuse when looking for recipes always for 4 or more people, nothing is aimed at one person. I know I could have frozen the meals but like I said it’s just an excuse. We all make excuses for our poor diet choices, though for some it’s not an excuse we just don’t know any different. My processed food diet came from my parents they rarely cooked fresh food, so a part of me didn’t know any better, though there comes a point that you have to take responsibilities for your choices. So can Personal Trainers give nutritional advice? Yes, a Personal Trainer can give you nutritional advice, they should be able to give you the advice to support your training goals/needs. 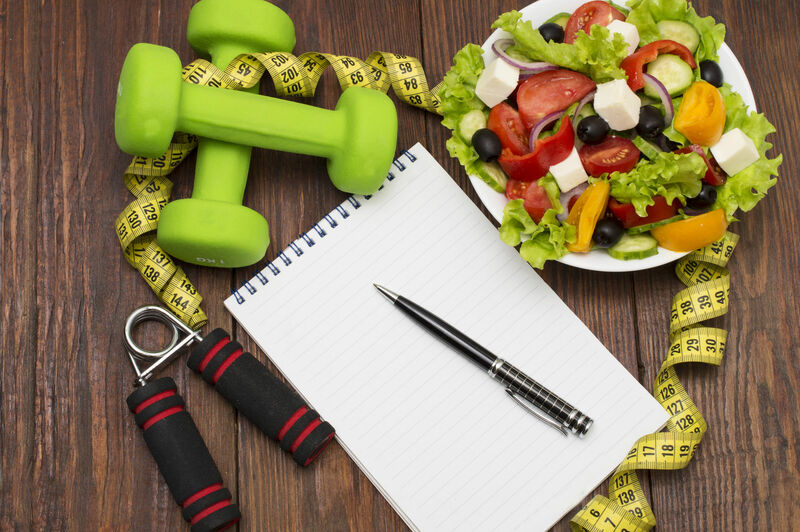 If you are not achieving the goals you set yourself, the trainer may ask you to make a food diary. Doing a food diary is good for you and the trainer to get a good idea of your relationship with food. If you’re asked to do a food diary don’t lie, the only person you will be cheating is yourself. The trainer won’t slap your wrist if you eat what is considered bad foods, we’re only human, the trainer might make suggestions for reducing certain foods, replacing them with healthier options. The diary might give you insight to when you eat, why you eat what you eat, moods etc it could be an eye-opener. Small changes to a person diet can sometimes make the world of changes. For example, I use to drink tea with 2 sugars, I reduced it to 1 and then over time I cut out sugar in my tea completely. That small change I saw changes in myself, and my tastebuds also changed with this. Recently I tried tea with sugar and the only word that comes to mind is vile. If you don’t make any changes to the way you eat don’t expect to achieve the goals you set yourself. If you have made positive changes to your diet and follow your training program and you’re still not seeing the results you might have to consider seeing a dietitian to look at other possible causes. Remember you have started this journey for a reason, so don’t throw in the towel, there will be ups and downs, we’re here Today to see you through this journey.